Circuit training in the UAE is a great way to get fit and stay in shape and can be used to 'condition' your body. To get that lean, sculpted body look have you thought about doing Circuit Training in the UAE? Circuit Training in Abu Dhabi or Dubai is a great way to add some variety to your fitness and exercise regime. Circuit training is a method designed to ensure you never get bored too which helps you stay focused on your end goals. Circuit training in Abu Dhabi is used for body conditioning, strength building and endurance. For those new to circuit training can you elaborate on what we mean by ‘body conditioning’? Body conditioning is the combination of intensive psychical training, combined with a rapid rise in heart rate. To summarize it is simply just muscular and strength training combined with cardiovascular effort. Overall this improves force, speed, power and performance. What are the principle parts of circuit training when used for body conditioning, for example is there a set routine with set fitness equipment used or does this vary? Circuits is constantly varied functional movements performed at high intensity. The workouts are based on functional movements, and these movements reflect the best aspects of gymnastics, weightlifting, running, rowing and more. These are the core movements of life. A professional personal trainer in the UAE can design circuits for one to one training and also groups. What parts of the body are typically ‘conditioned’ when using body conditioning exercise plans like circuit training – eg, muscle conditioning, cardiovascular conditioning etc? The nature of conditioning primarily focuses on the heart and lungs, with an overall total body muscular effect achieved via selecting exercises which complement each other. Typically Legs, chest, back and shoulders ie all major muscle groups. This equates to the whole body conditioning effect, which ultimately will improve performance and performance. Can you provide some examples of circuits that you would recommend when training clients? When offering circuits to personal training clients in Abu Dhabi this will be very unique to their needs and capabilities. However the beauty of circuits is that all exercises and movements have up to three or four scaling options. Depending on the clients current fitness level, injury situation and experience, we will then choose the exercises that best suit them in order to work towards continuously improving performance, this can be done with a progression or regression movement. Personally I would always start with a client assessment of squats, push ups, sit ups, and the plank. This allows me to see their current performance levels in balance and co-ordination, general movement and particular their core strength. Depending on the outcome of the assessment I would then design a circuit best suited for my client. Because circuit training can be fast paced do you think this is suitable for anyone – beginners, seniors, children? Circuits is suited for everyone as we structure and tailor them around the individuals. Intially the instructor must be aware of the client’s limitations, strengths, weaknesses, likes and dislikes in order to correctly and optimally plan a session. A well balanced diet is important for a healthy lifestyle and sometimes a tailor-made diet is recommended for particular fitness goals. 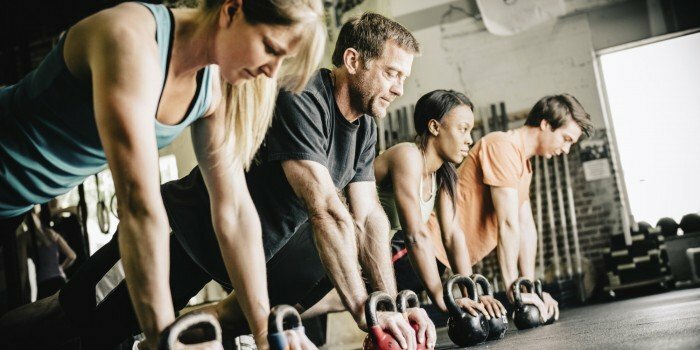 Are there any specific diet rules (what to eat, what to not eat) when planning a circuit workout plan for body conditioning? Fuel before is key, usually an hour or two before, whether that be protein or carbs which will aid performance but do not try not to eat too close to the session. Once the session has finished you must try and ensure for optimal nutrient timing that you eat within 90 minutes after training. This ensures that food goes towards recovering muscles and not to continually fill up fat stores. Whether you want to lose weight, gain some muscle or tone your body Circuit Training in your area of Abu Dhabi, Dubai or Sharjah is a great all round fitness method which is suitable for all fitness levels. You can view Circuit Training personal trainer profiles by clicking the link below.